27 Bruce Farm Drive, Bayview Ave and Cummer Ave. Opens in 12 h 52 min. 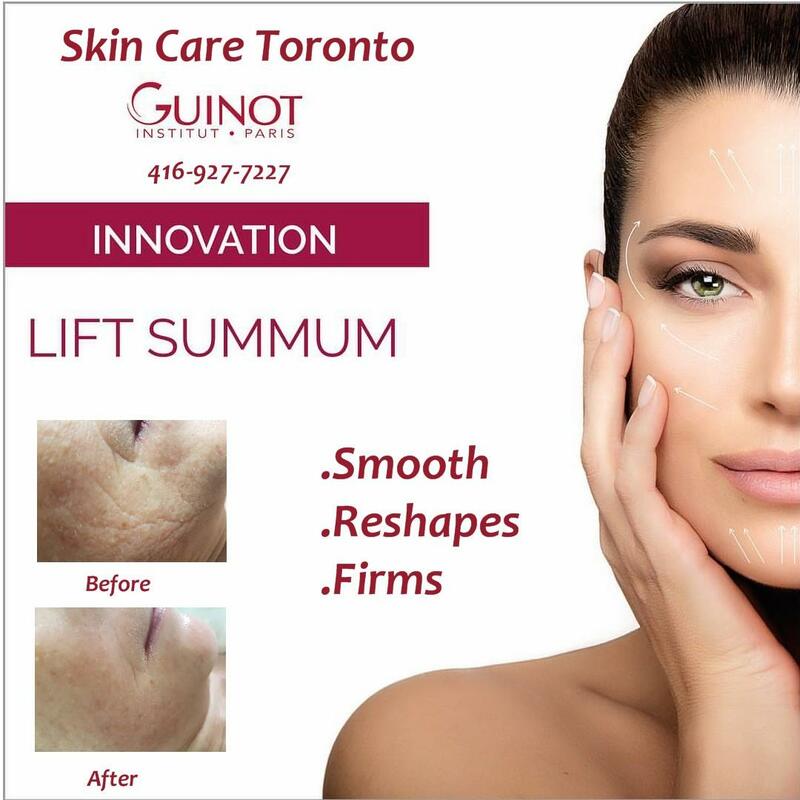 Skin Care Toronto is an advanced non-surgical medical esthetics clinic offering a wide variety of esthetic and medical facials, body treatments and products designed to enhance the health and appearance of your skin. 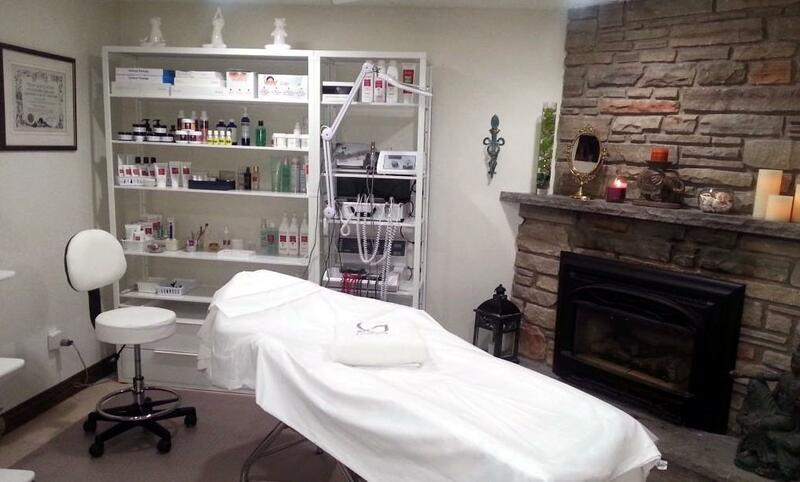 Located in North York Toronto, formerly know as Esthetics of Lara in Yorkville, Toronto for over 25 years. Whether you’re concerned about wrinkles, hyper-pigmentation, acne, redness or all of the above, our corrective products are formulated to exfoliate, repair, and rejuvenate the skin. Our range of creams, serums, masques and targeted facial treatments, have been clinically tested and shown to work synergistically with the rest of your skin regimen to provide optimal results. 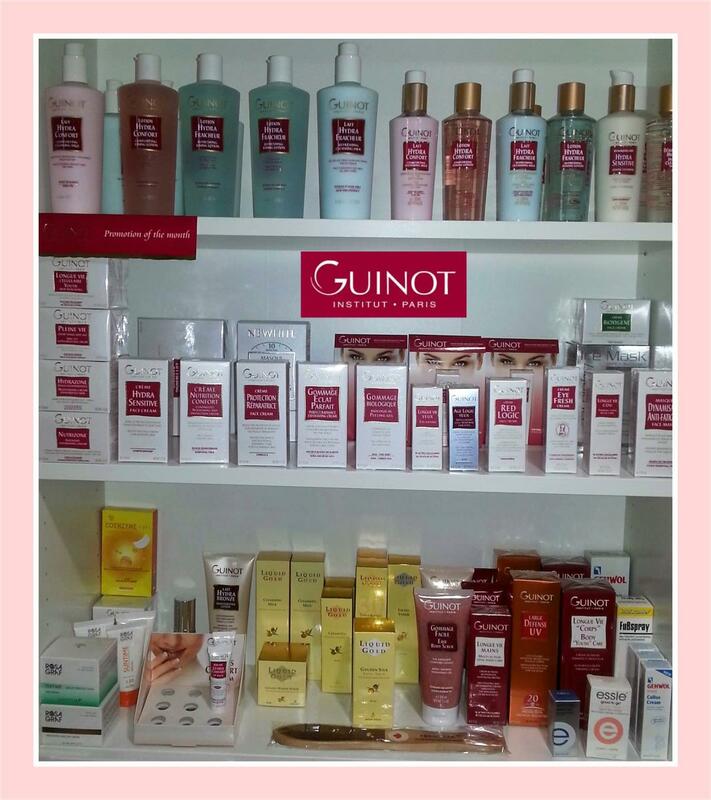 To keep the achieved results at home, we retail top professional skin care lines like Guinot (France), Anna Lotan (Israel), Rosa Graf (Germany), Skeyndor (Spain) and PCA Skin Solutions (USA). 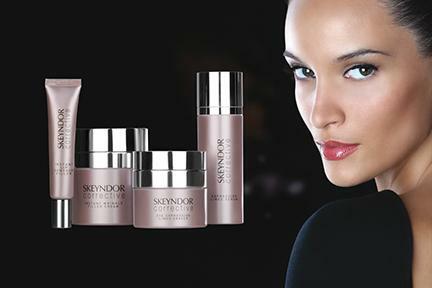 Their active ingredients and advanced technologies are capable to soften fine lines and wrinkles. 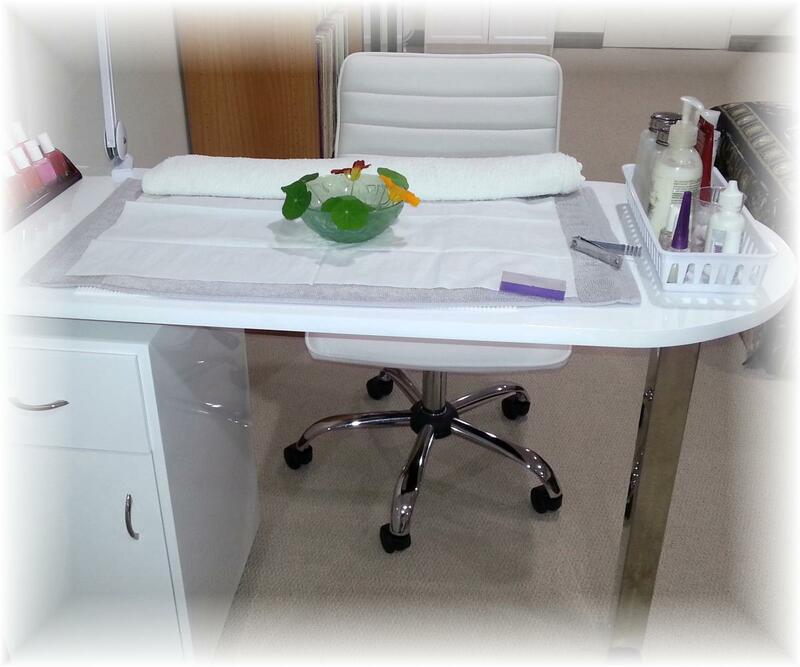 Skin Care Toronto is conveniently located in North York, Toronto just one block north of Bayview Village. The Company was established in 1985 by Lara, formerly known as “Esthetics of Lara” serving Yorkville community for over 25 years. 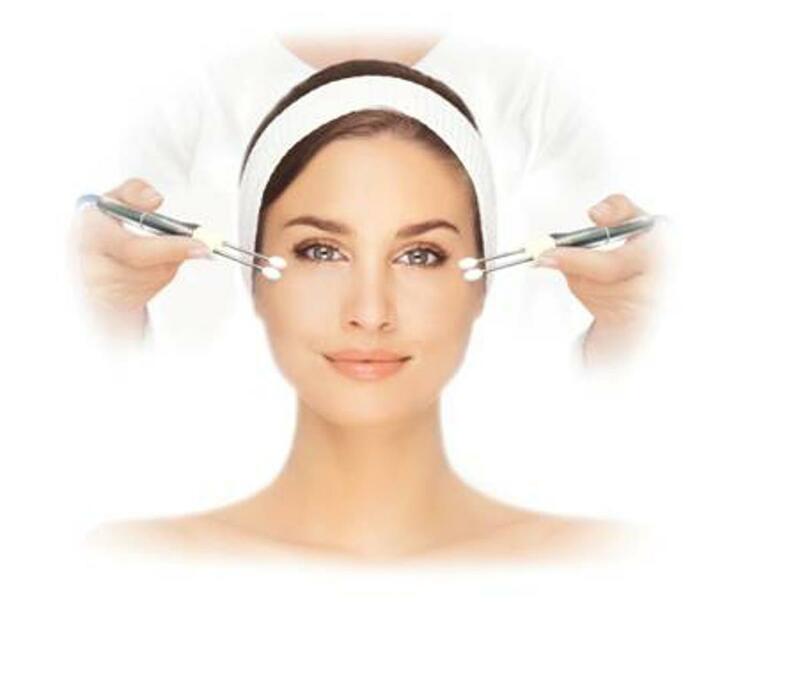 European trained, Lara dedicated to offer discrete and personalized aesthetic treatments, always using the latest technologies and techniques to deliver best results. Skin Care Toronto Day Spa offers serene environment during treatments with the great choice of classical, instrumental and spa music. Our location bordered by miles of nature trails alone Don Mills River, known as the “Green Belt” of Bayview-Woods; and that is in the city of Toronto. Escape the pressure of every day life and go for a nice walk before or after your visit, to experience the surrounded beauty of nature to rejuvenate your body, mind and soul. 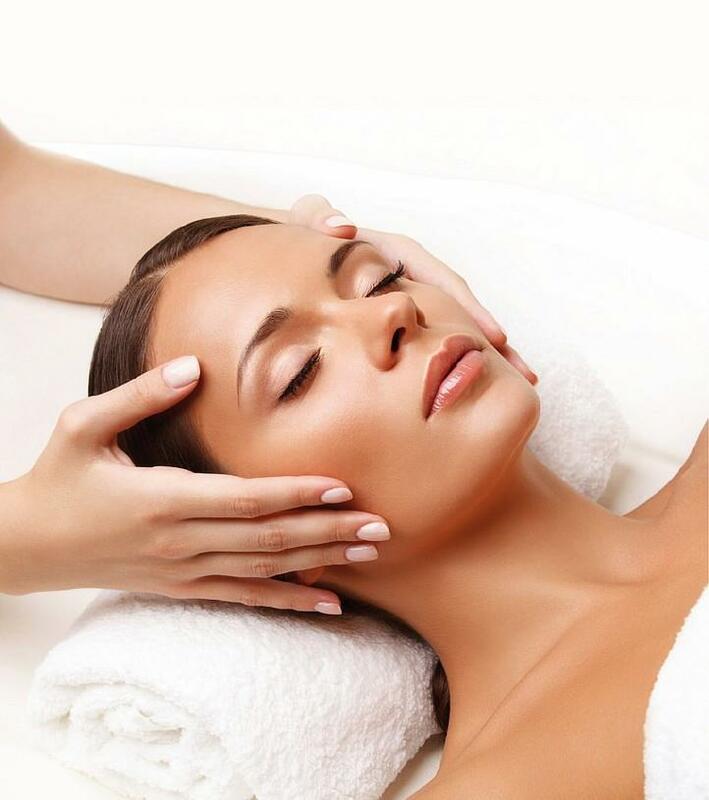 When you come to Skin Care Toronto Clinic and Day Spa, you can relax and feel rest assured with us during your treatment, knowing you are always in safe and knowledgeable hands. The philosophy at Skin Care Toronto Clinic is rejuvenation and beauty of the skin and body that can truly only be achieved through the holistic harmony of our well being. Each treatment is individualised with personal consultation done by Lara, to make sure you have the best treatment for you skin needs. 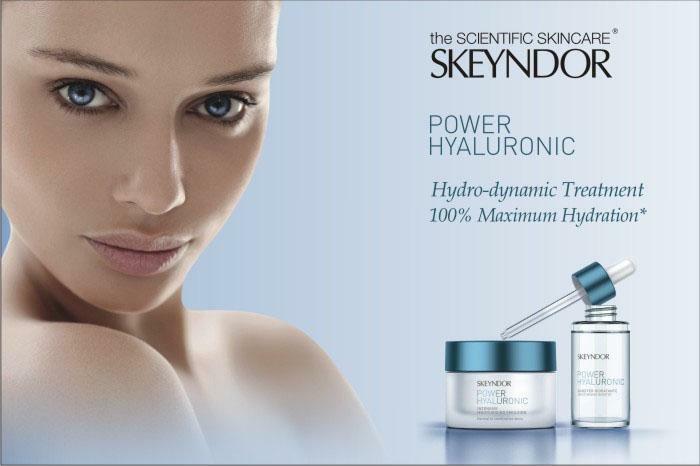 Skincare Skeyndor, Anna Lotan, Rosa Graf, the brands that deliver in skin care excellence in every treatment and in every touch. We are able to treat and correct Sensitive, Acne, Oily, Dry, Scarring, Pigmentation, Dehydration, Wrinkles and Ageing mature skin. 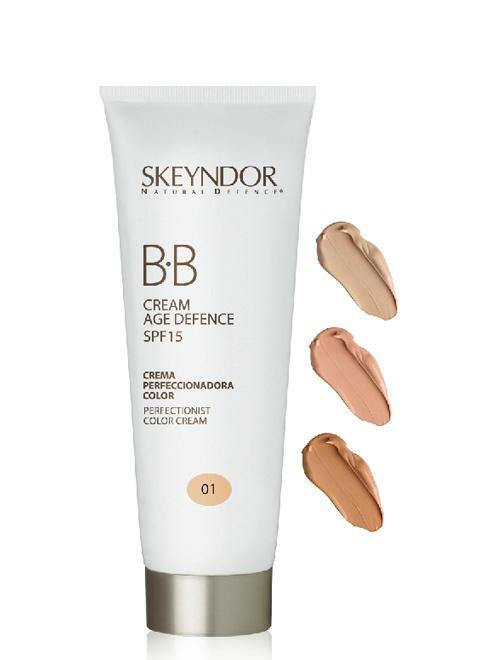 In today’s world of Beauty and Skin Care, like so many of our other industries, research, development & innovation progressing very fast, and this is why Skeyndor ? 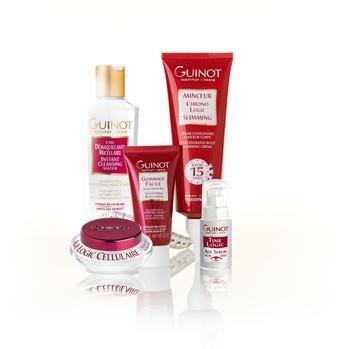 the scientific skincare from Spain and Guinot ( France ) became a leaders in skin care industry. They are always using new technologies to solve beauty problems, state of the art active ingredients and efficient delivery techniques such as encapsulation and nano-technology to treat a large range of skincare concerns. 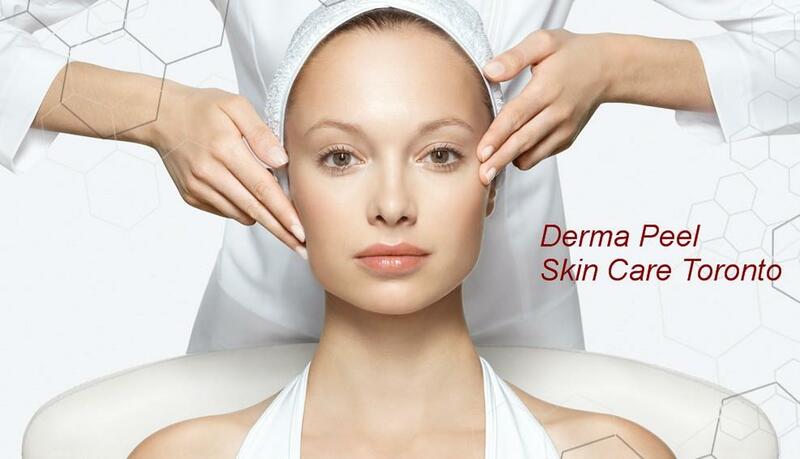 At Skin Care Toronto Clinic & Day Spa you are number one! Indulge in one of our customised facial treatments or just spend some time simply relax by the pool with the book. You worth it! • Whether you come in for a manicure, pedicure or facial treatment, you can rest assured that you will always be in good hands and only the finest, time-tested natural products from Skeyndor, Guinot and Anna Lotan will be employed in your treatment. Educated In Former Soviet Union, Lara Speaks Russian, Ukrainian, English. 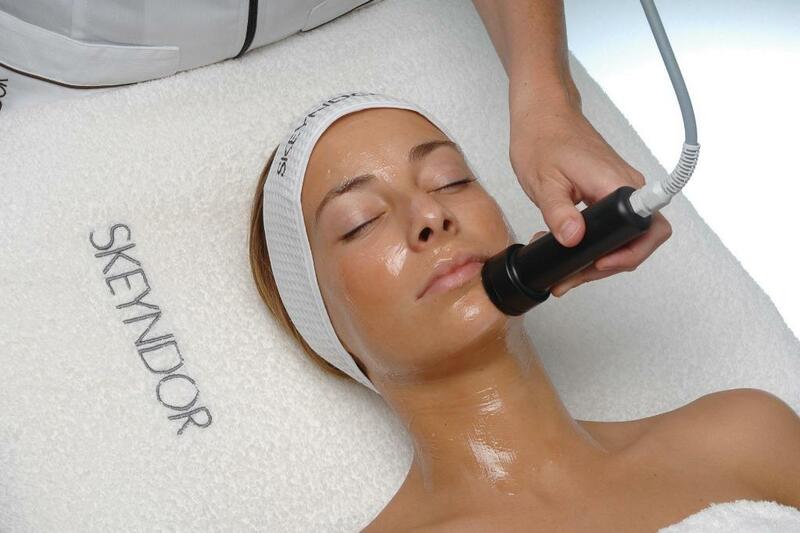 Deep cleansing facial with extractions 75 min. 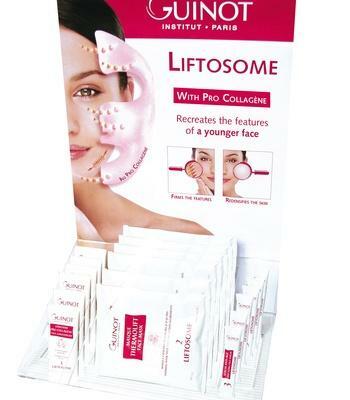 Including ultrasonic peel or enzyme peel. Must have this treatment after long winter. Natural plant extracts, customized mask, European facial massage. Thank-you very much Carol. Thank-you for following me to my new location. 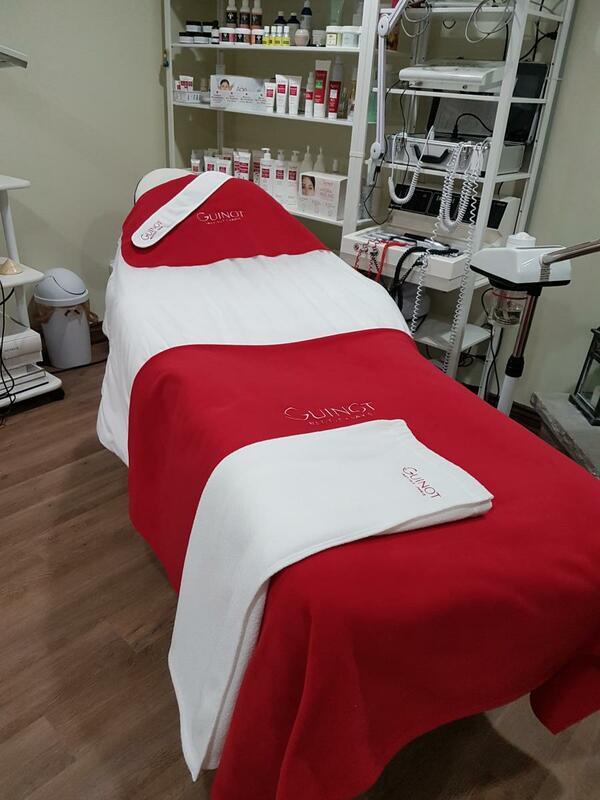 Its always a pleasure to see you too and look after all your skin care needs. Thank-you again for your loyalty. Lara. Write a review for Skin Care Toronto! 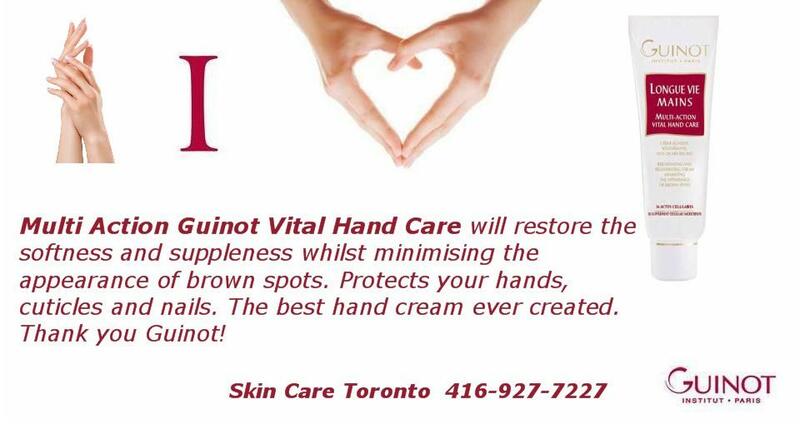 Do you know Skin Care Toronto? Share your experience - write a review! 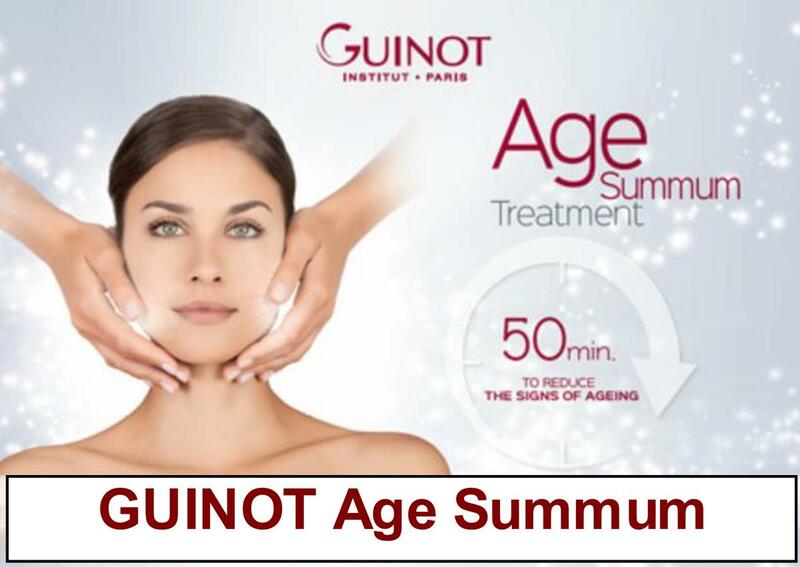 Guinot Best Sellers in North York, Toronto All you need is Guinot, the most complete and technically advanced system for skin and body care. Found only in salons with expertly trained aestheticians. 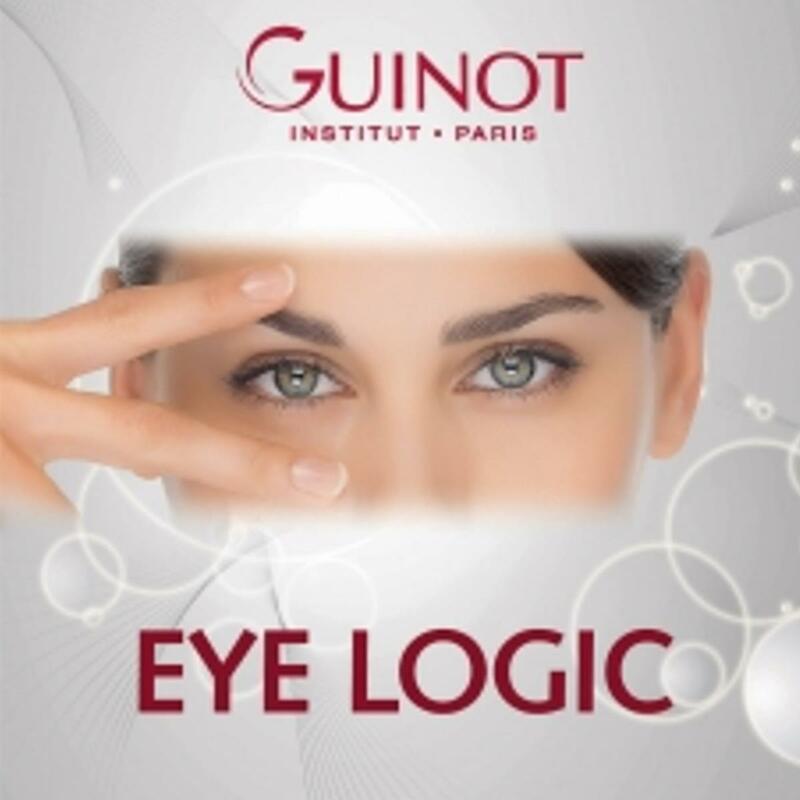 We work and retail Guinot skin care and treatments for over 30 years. 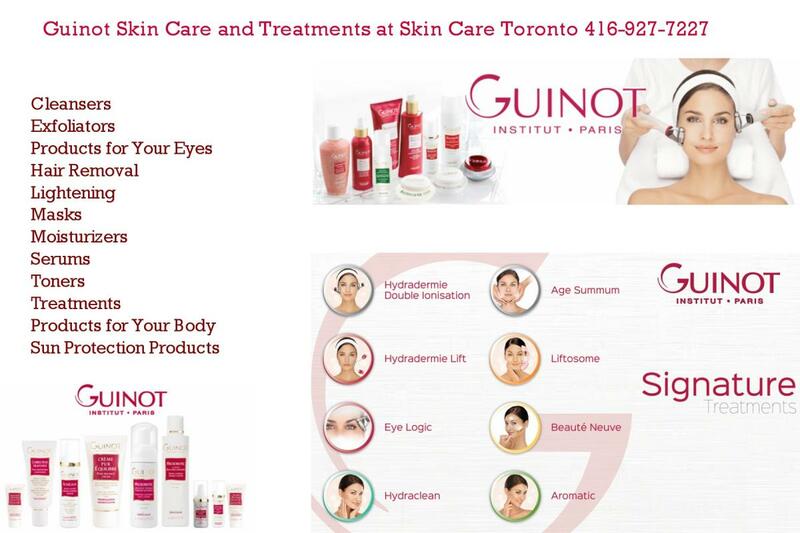 Guinot Skin Care Products in North York,Toronto Skin Care Toronto offer full line of Guinot-Paris, result oriented skin care and treatments for conditions like dehydration, aging, sensitivity, pigmentation, acne and acne scars. Paraben free, GMO-free & not tested on animals. ISO 14001 Certification.